There she is, Miss America—now Mrs. Savvy Wolfe. 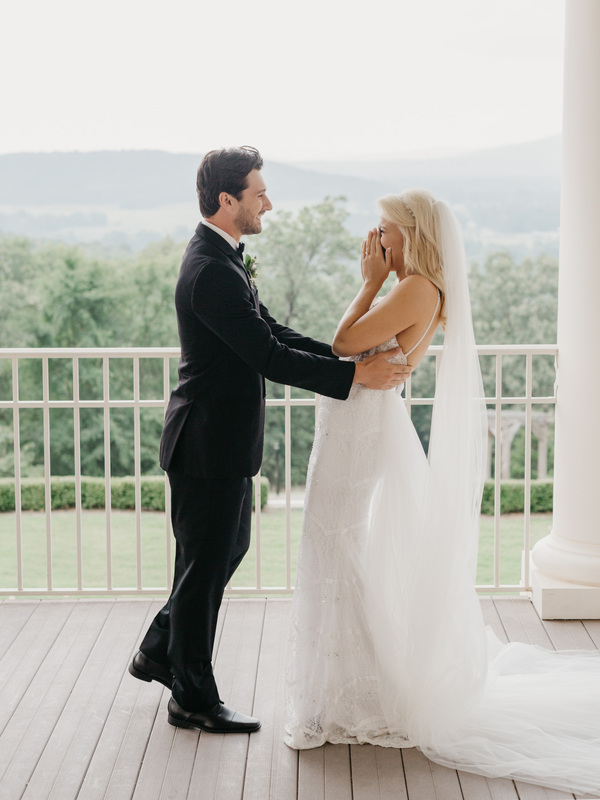 Former Miss America 2017 Savvy Shields married her love, lawyer Nate Wolfe, in an artsy, creative wedding ceremony in Bentonville, Arkansas, on July 28, and the couple’s epic celebration was nothing short of a fun-filled fete that perfectly balanced the classy and the creative. In planning their wedding, the pair took cues from their gut feelings, even though Shields says she and her mother were super organized and planned everything down to the last detail. For instance, Shields selected her wedding dress after she fell in love with it, and “La Vie En Rose” came on the speakers at the bridal shop as she tried it on; they would later use the song to begin the wedding ceremony. 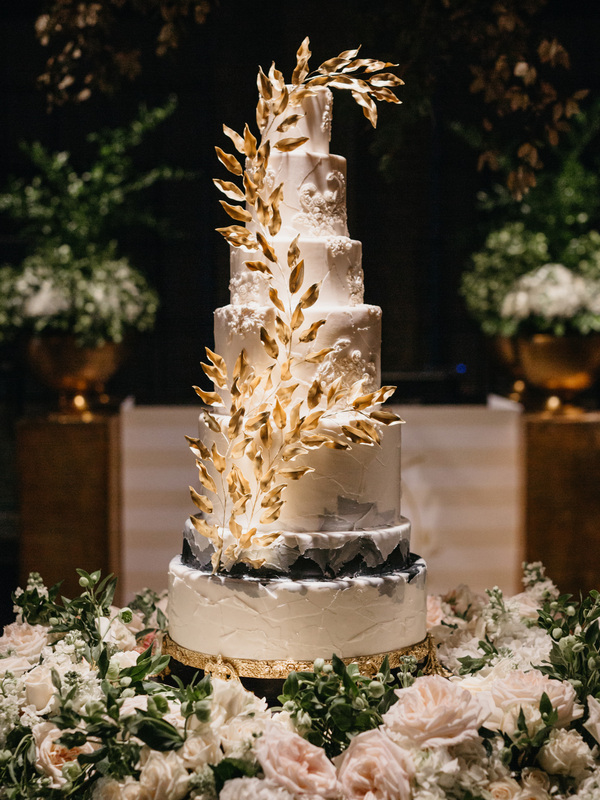 Here, see how the happy couple celebrated their love with 250 of their family members and friends, and get all the details about their exquisite decorations (hint: Shields had a hand in some of the reception decor). Though Shields says she would have preferred a “grand church,” Arkansas isn’t really known for its historic, over-the-top places of worship. 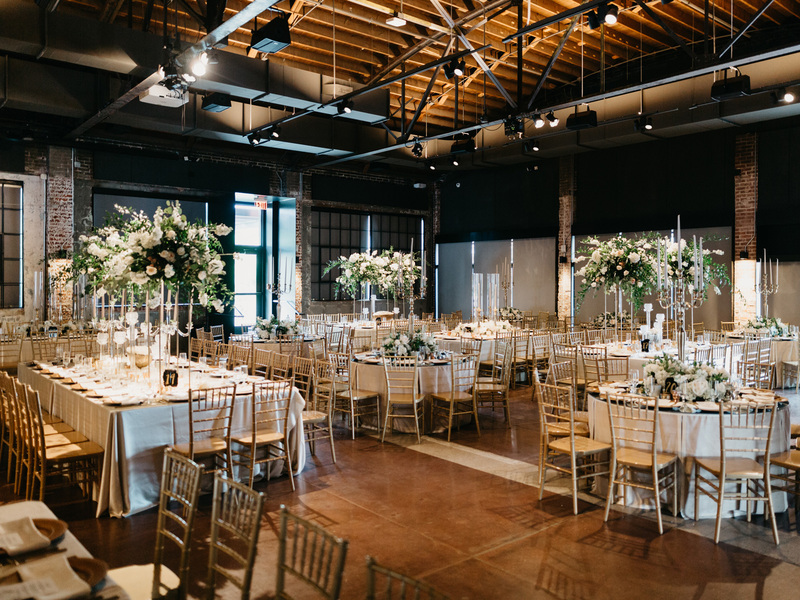 So instead, she married at the Record, an event space downtown, that had just the right kind of “industrial vibe” that suited the couple. “Being an artist, I loved the blank canvas,” she says. 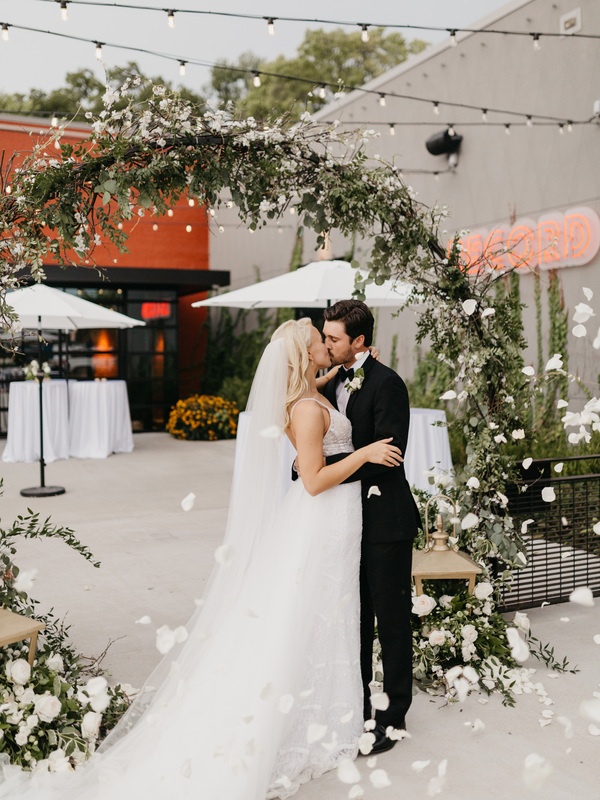 “My dream was to create an artsy, airy, dreamy, garden for the ceremony and transition to a grand party for the reception.” The venue’s two separate rooms allowed her to make that dream a reality. Flowers were a big part of the Shields-Wolfe wedding, which is only fitting because of Shields’ beauty pageant past. 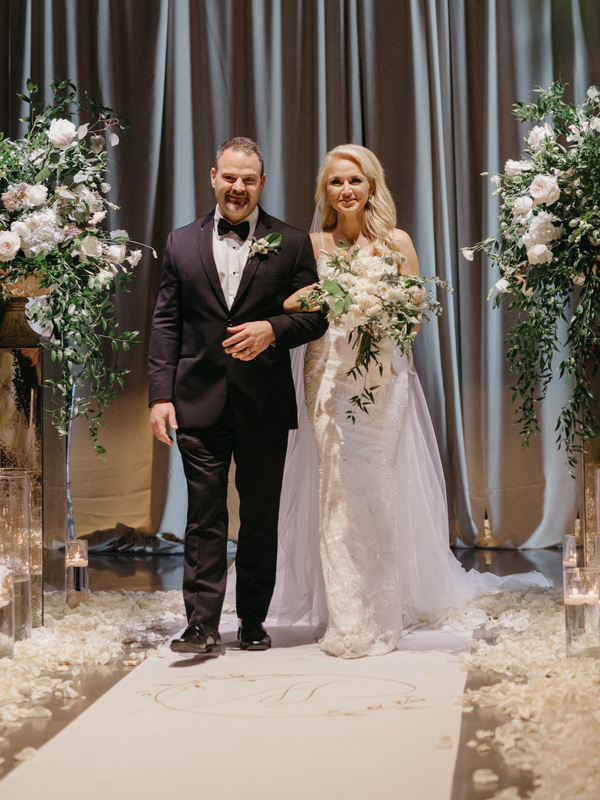 Florist Tanarah Luxe Floral “made [the wedding] magical” by providing an array of beautiful blooms for the ceremony and reception. The rest of the ceremony was made up to feel dream-like as well, with Shields working closely with wedding planner Amanda Reed of Amanda Reed Weddings to imagine a space from what was essentially a “blank canvas.” The altar area featured a dimensional arch that was adorned with flowing ivory fabric and greeneries; a large canopy of greenery and flowers served as a focal backdrop for the ceremony. And the aisles were lined with an assortment of glassware with floating candle lights and scattered rose petals. 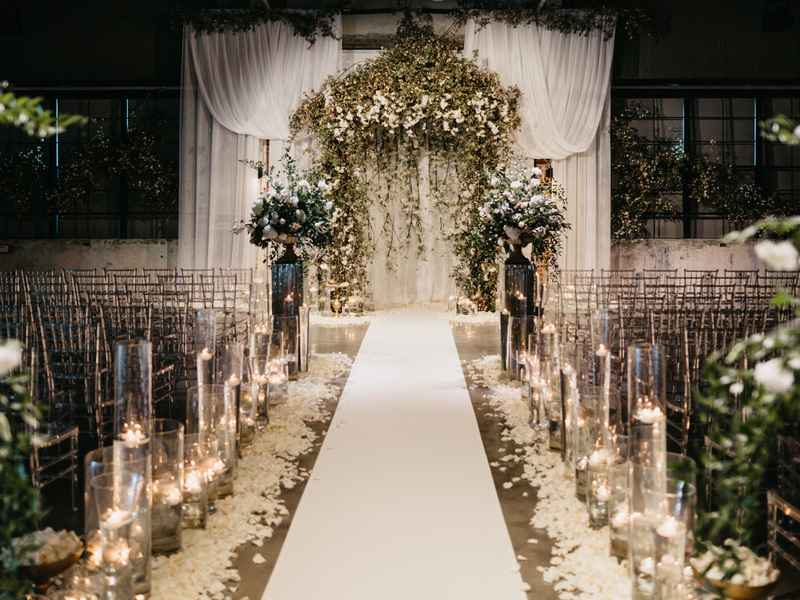 “I was going for a dreamlike feeling with an intense blooming garden that magically showed up in the middle of a warehouse well-lit with candles,” she says. 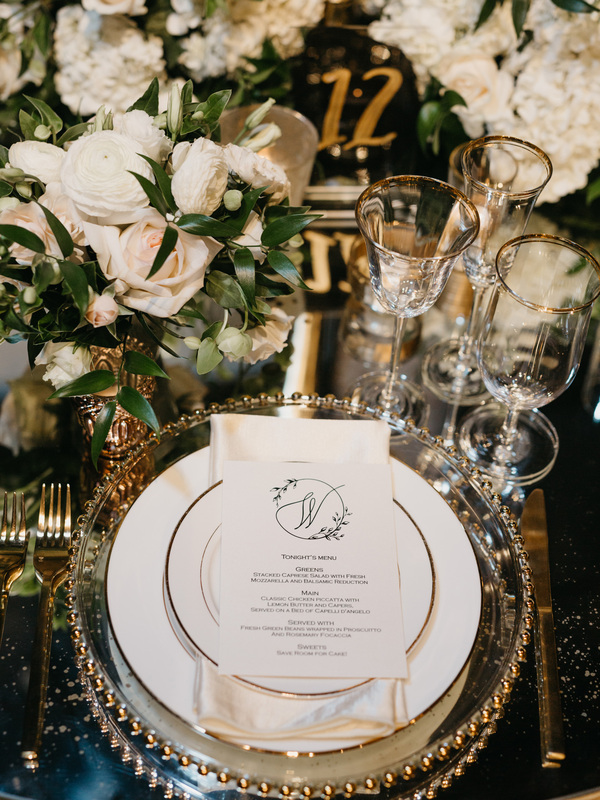 A white runner paved the path from entrance to altar, with a “W” hand-painted in gold matching the script from their wedding invitations. 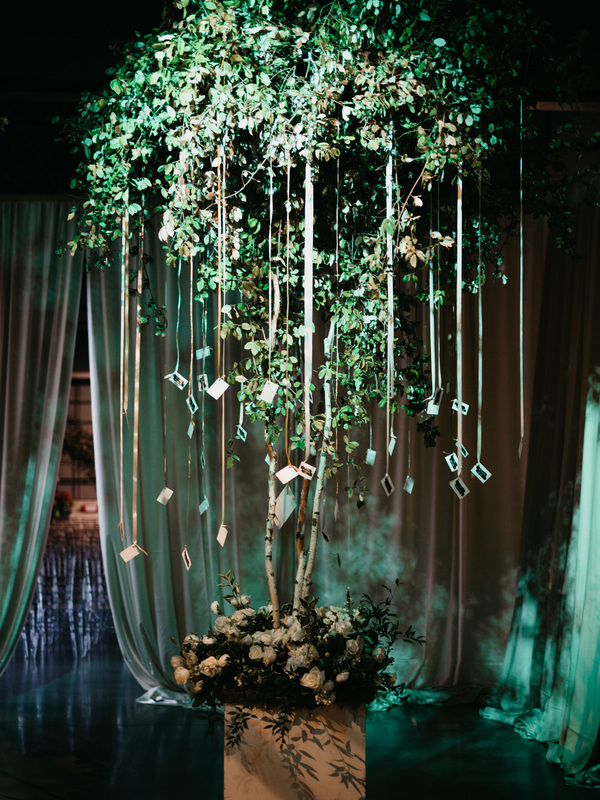 The reception was held in a separate room through a hallway that Shields had decorated to mimic the dreamlike feel of the ceremony, with four trees in each corner covering the ceiling with branches and floral. As a former Miss America, Shields says she was nervous about not being able to find a gown that felt bridal enough. 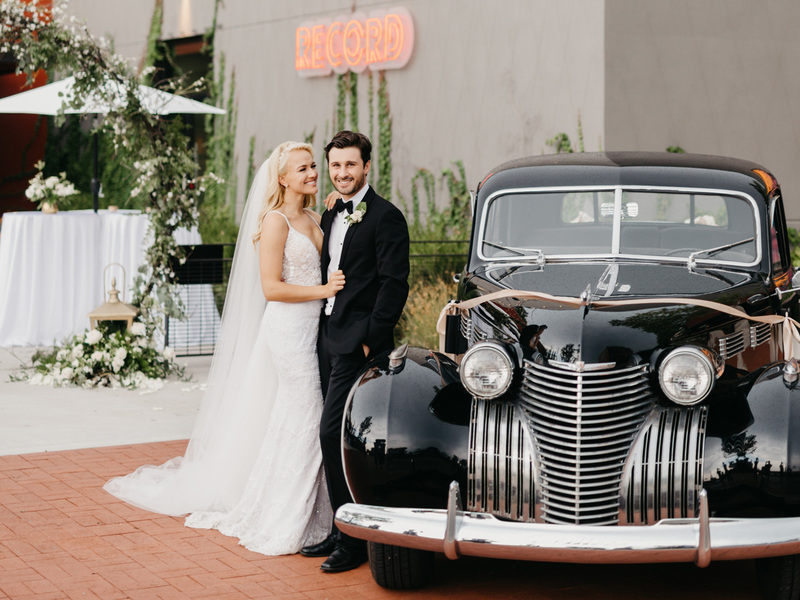 When she began her search, she knew she wanted something “fitted, modern, yet traditional.” Lucky for her, a stop by a store named the Bridal Boutique in Lewisville, Texas, revealed a wide range of the Berta gowns that she was so drawn to, and she found the dress—one with lace, beading, pearls and a back train that made her feel like royalty. But it wasn’t until a simple, long veil was placed on her head, which prompted tears from her mom, that she knew for sure that the gown was the one for her. Shields paired the gown with a simple long veil, a halo piece and classic earrings by Thomas Knoell Designs. The bride had 12 bridesmaids against Wolfe’s 12 groomsmen, all of whom donned classy and classic dresses and tuxes, respectively, for the occasion. Shields says she credits Kattie, her matron of honor, with helping her coordinate looks for her ladies, in neutral-colored dresses that would compliment but not outshine the floral arrangements and bouquets. 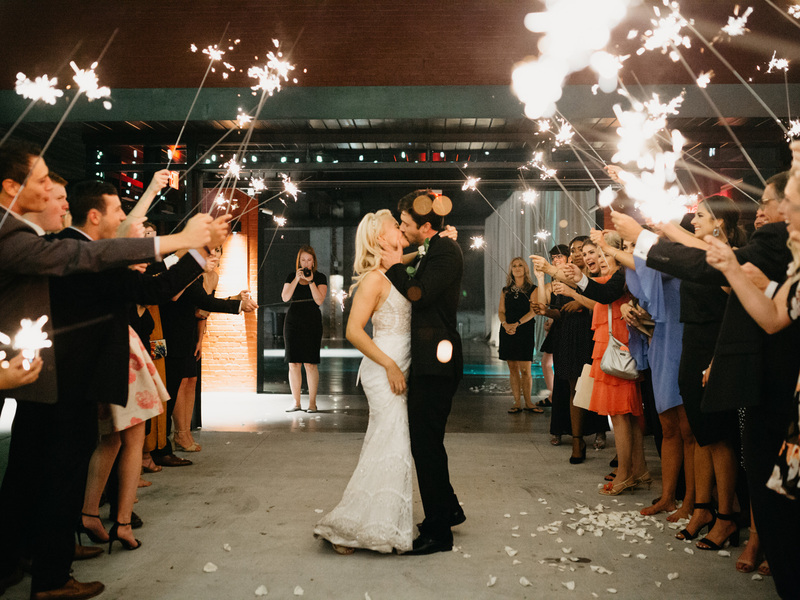 “The staff at Tesori and the gals at Hayley Paige made it all happen,” she says. Because the reception was in such a modern space, Shields wanted the men to look modern too, in tuxes from Jim’s Formal Wear and She Said Yes Bridal. 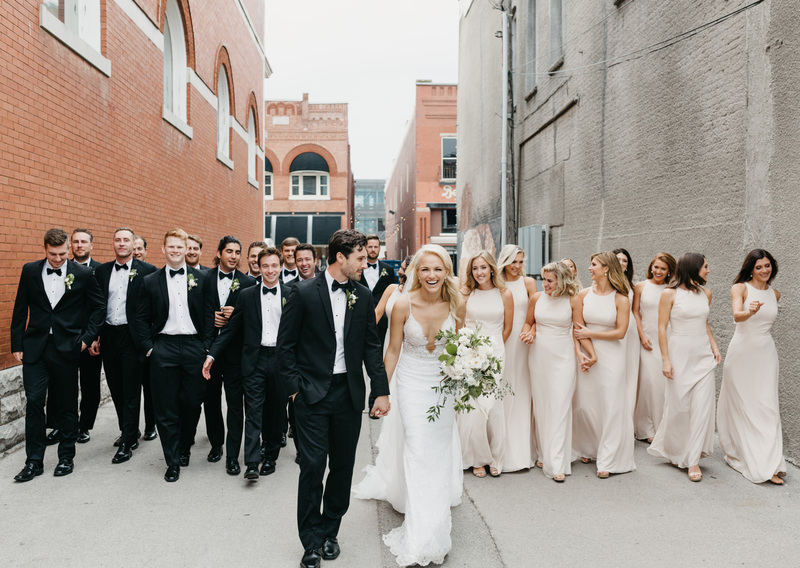 To ensure every memory and moment from their special day was documented, Shields and Wolfe hired star vendors, photographers the Hickenloopers (“sweetest humans ever!” Shields says), and videographers Dave and Camera to capture the entire occasion. 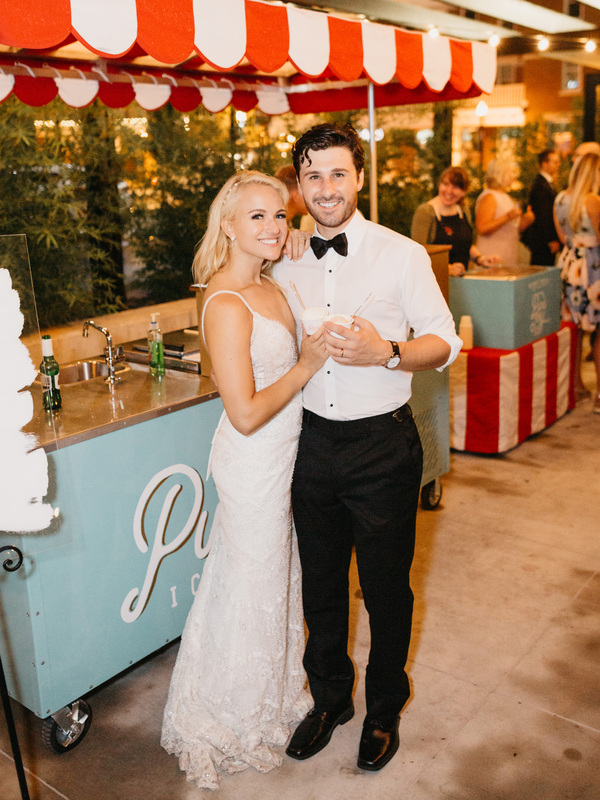 A unique element of the couple’s wedding was an ice cream cart by the Pure Joy Ice Cream Shop that was used to serve custom-made flavors (think: custom cocktails, but for all ages), including “Nate Date” (a nod to their many coffee dates together) and “World Peace” (a reference to her beauty pageant days). Another favorite was a Sauvignon Blanc white wine sorbet called “Bellissimo,” which means “beautiful” in Italian and happened to be the first stop on their honeymoon in Florence, Italy. 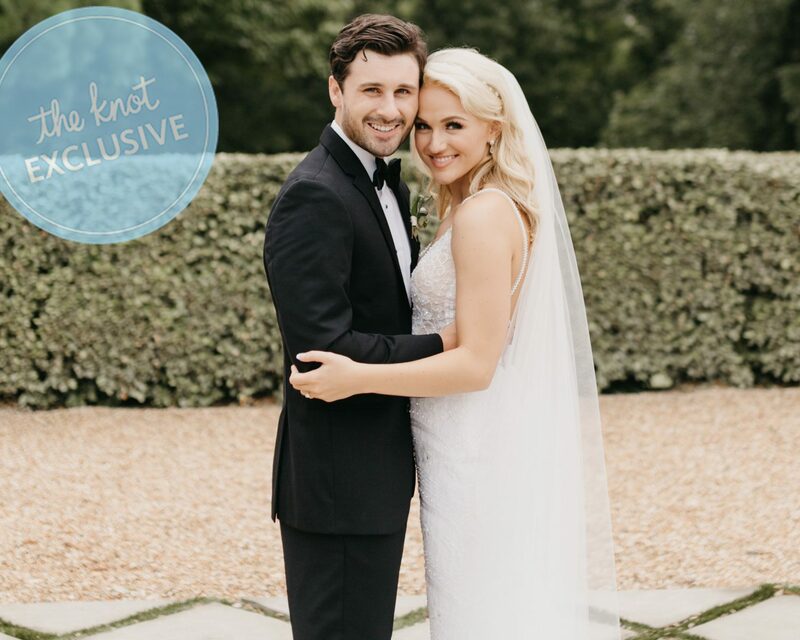 Be the first to comment on "Exclusive: Miss America Savvy Shields Shares Her Dreamy Wedding Album"